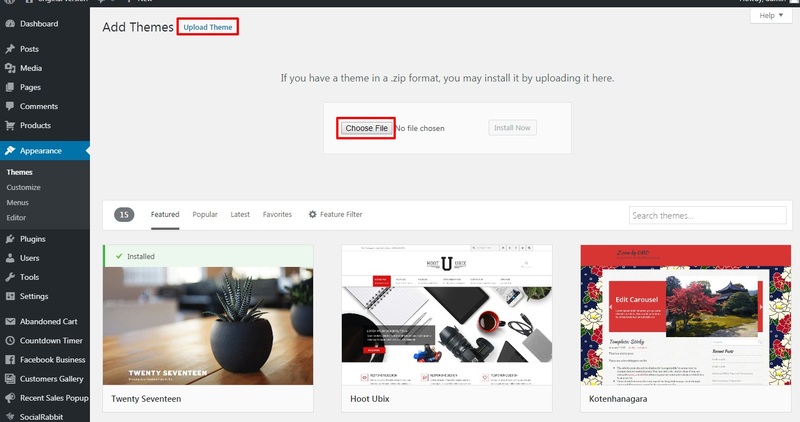 Once you have installed AliDropship plugin, you can proceed with theme setup. AliDropship original plugin is only compatible with the built-in themes, it does not work with WooCommerce based themes. You can easily switch between the built-in themes without losing your settings. AliDropship Woo plugin supports standard Woo themes, i.e. developed by WooCommerce team, it is incompatible with AliDropship built-in themes. Learn more about the difference between these two versions. 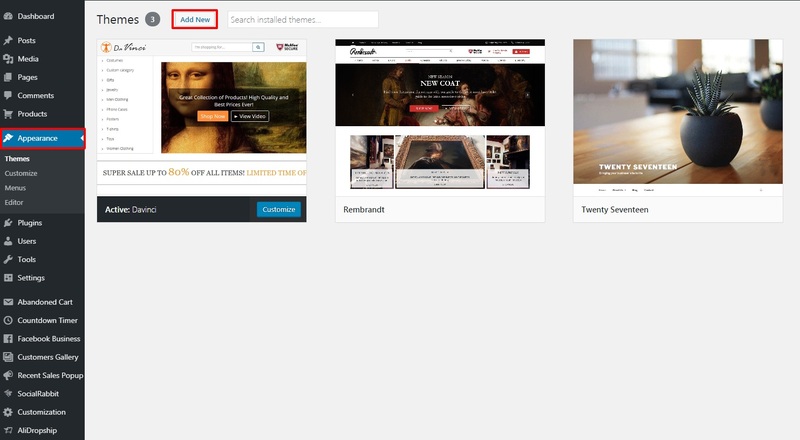 To download one of the built-in themes, visit https://alidropship.es/temas/. 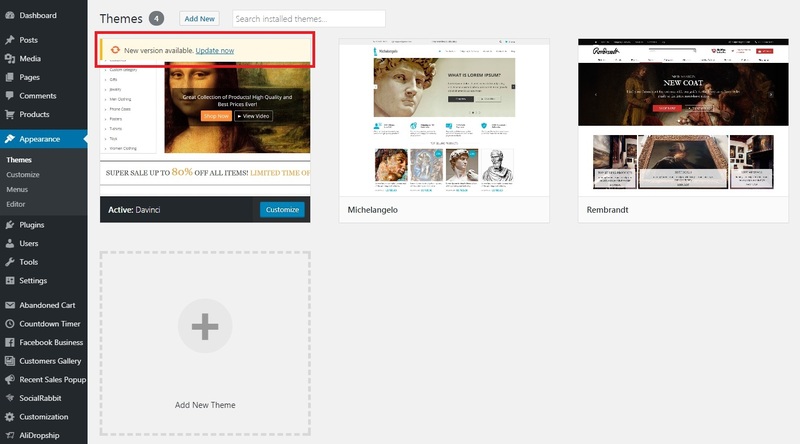 Enter your WordPress panel and go to Appearance => Themes => Add New. Click Upload Theme to upload the zip file you have downloaded. After the chosen theme is installed, activate it by clicking Activate. All themes are improved and updated on a regular basis, that’s why we strongly recommend checking for new releases and keeping your themes updated. 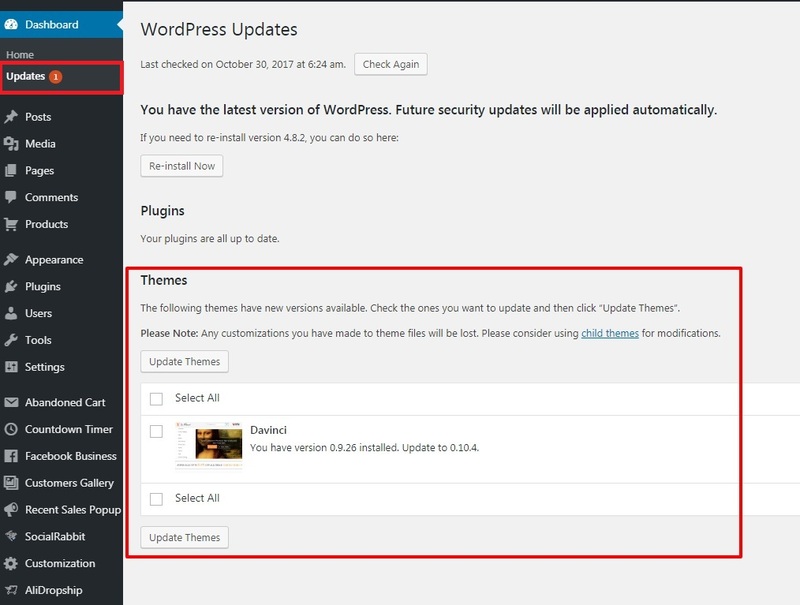 As a rule, update notifications are shown in Appearance => Themes. Alternatively, you can check available updates in Updates.